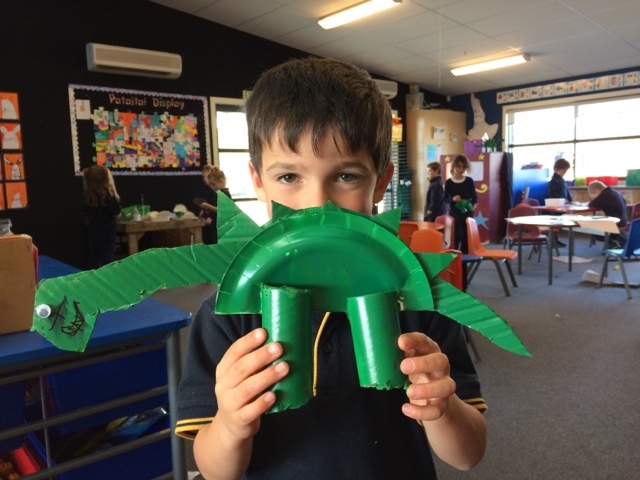 Oliver made his dinosaur at Pataitai. He has named it Raara. He was learning to use a hot glue gun.